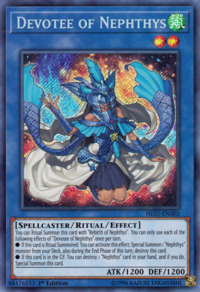 This card is a variant of Hand of Nephthys. This is the first (and so far, only) Level 2 Ritual Monster. This monster appears in the card artworks of Rebirth of Nephthys and Last Hope of Nephthys.